Unfortunately Florida is not always the sunshine state, it has its rainy months, and that is why waterproofing is important to the Florida homeowner. During our soggy months, water can become intrusive to garages, sunrooms and sheds, creating homeowner nightmares. Things you may not realize the high humidity and excessive rain can affect in a negative light are masonry finishes, windows, doors and expansion joints. Performance Painting Contractors has been waterproofing Florida homes as well as exterior dwellings for over 15 years. We ensure that before any waterproofing sealants are applied the surface is prepped, including any repairs that are needed to ensure the longevity of the waterproofing application. When exterior sections of your home are waterproofed, the sealant that is used helps keep water and moisture out, this works best when the surfaces are properly prepped. 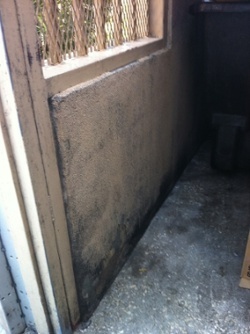 Waterproofing is a form of seal control.To learn more and get a free estimate, contact us today.